Stitches: Satin, Cross, Marking cross, Eyelet, Stem, Split, Chain. Predominant Motif: 4 alphabets: each missing the J and the U. Numbers 1-11. Some initials. Motifs of small trees, hearts, crowns. One cross band with birds and small flowers. Various stitched lines. A densely worked border of a highly stylized flower-head and leaf pattern all four sides. 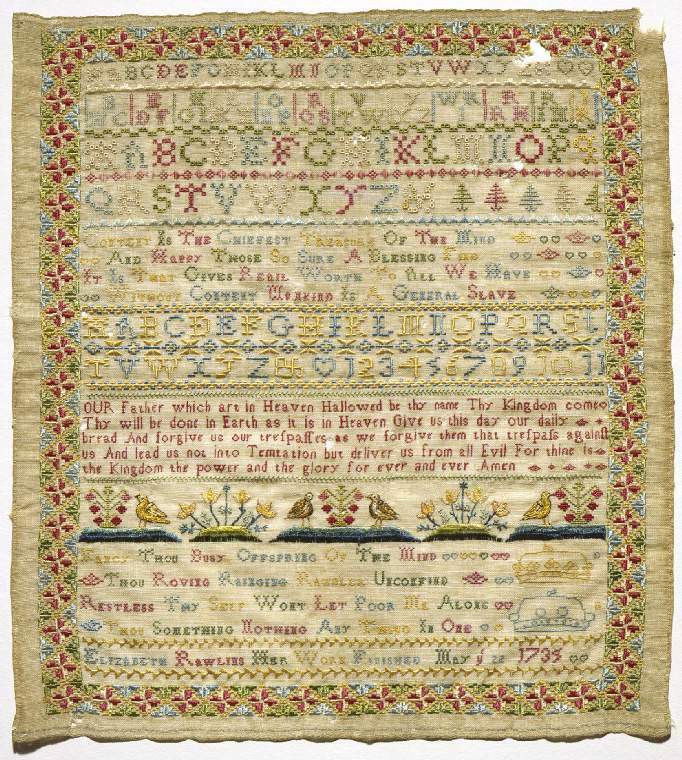 (Note: for a nearly identical sampler see #5201 stitched by Elinor Brown. Both were almost certainly done under the tutelage of the same unknown instructor).